The second live, online, interactive review of the final segments of the Second Draft Michigan Revised Proposed State Sanitary Code with the opportunity to post comments. A formal invitation was sent to Representative Lower which was declined. A full set of marked up pages is available on request. A bill to amend 1994 PA 451, entitled “Natural resources and environmental protection act,” (MCL 324.101 to 324.90106) by adding part 50. AN AGREED BY CONSENSUS SET OF DEFINITIONS. RECOMMENDED STANDARDS AND GUIDANCE FOR THE MANAGEMENT OF ONSITE WASTEWATER SYSTEMS. ALTERNATIVE TECHNOLOGIES AND RECOMMENDED STANDARDS AND GUIDANCE FOR THEIR USE. REGISTRATION AND RECOMMENDED STANDARDS AND GUIDANCE FOR USE OF NEW PRODUCTS. MANAGEMENT OF ONSITE WASTEWATER TREATMENT SYSTEMS. OPERATION AND MAINTENANCE OF ONSITE WASTEWATER TREATMENT SYSTEMS. INSPECTION OF ONSITE WASTEWATER TREATMENT SYSTEMS. 10% ONSITE WASTEWATER SYSTEM INSTALLER. 10%ONSITE WASTEWATER SYSTEM SERVICE PROVIDER. 5% EPIDEMIOLOGIST TRAINED IN VECTORS OF TRANSMISSION FROM HUMAN WASTE. 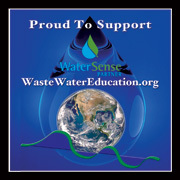 5% MEMBER AT LARGE REPRESENTING USERS OF ONSITE WASTEWATER SYSTEMS. MINIMUM STANDARDS FOR MANAGEMENT OF ONSITE WASTEWATER TREATMENT SYSTEMS. WASTEWATER EFFLUENT STANDARDS, IF APPLICABLE. CORRECTIVE ACTIONS NECESSARY TO PROTECT THE PUBLIC HEALTH AND THE ENVIRONMENT FOR ONSITE WASTEWATER TREATMENT SYSTEMS THAT FAIL TO MEET THESE STANDARDS. CRITERIA FOR SITING AND DESIGN OF ONSITE WASTEWATER TREATMENT SYSTEMS. REQUIREMENTS RELATING TO THE CONSTRUCTION APPROVAL PROCESS BY THE DEPARTMENT AND LOCAL HEALTH DEPARTMENTS FOR ONSITE WASTEWATER TREATMENT SYSTEMS. REQUIREMENTS FOR THE APPROVAL OF , ALTERNATIVE, AND EXPERIMENTAL WASTEWATER SYSTEM PRODUCTS, COMPONENTS, OR DEVICES. ESTABLISHMENT OF CRITERIA FOR A SEPTIC SYSTEM ASSESSMENT CONDUCTED ON A SCHEDULE AS DEFINED BY LOCAL HEALTH DEPARTMENTS. ESTABLISHMENT OF CRITERIA FOR ASSESSMENT, OF STATE ADMINISTRATIVE FEE. TO OPERATE THE PROGRAM AND FULLY FUND DATA COLLECTION, DIGITAL DISTRIBUTION AND. PROPERTY OWNER REPAIR AND REPLACEMENT REVOLVING LOAN PROGRAM. ESTABLISHMENT OF CRITERIA FOR ONSITE WASTEWATER SYSTEM EVALUATION TREATMENT SYSTEM AND WHETHER THE FAILURE IS CAUSING AN IMMINENT THREAT TO PUBLIC HEALTH. ESTABLISHMENT OF CRITERIA FOR ONSITE WASTEWATER TREATMENT SYSTEM QUALIFIED INSPECTORS CREDENTIAL AND RENEWAL CEUS. ESTABLISHMENT OF CRITERIA FOR CREATION OF THE ONSITE WASTEWATER TREATMENT SYSTEM ADMINISTRATION FUND WITHIN THE STATE TREASURY. MONEY IN THE FUND AT THE CLOSE OF THE FISCAL YEAR SHALL REMAIN IN THE FUND AND SHALL NOT LAPSE TO THE GENERAL FUND.Enacting section 1. This amendatory act takes effect 90 days after the date it is enacted into law.